With Hydro GeoAnalyst, you can expect the highest level of performance and a completely scalable solution to meet your groundwater and environemental project demands! 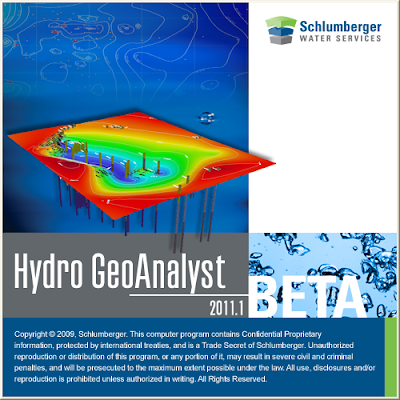 Hydro GeoAnalyst is an all-in-one desktop concept that provides one-click access to many powerful features (e.g. Data Transfer System, Query Editor, GIS Map Manager, 2D Cross-Section Editor, 3D-Explorer, Template Manager, Report Editor, and much more!). Design the SQL Server database structure, borehole log templates, and reporting styles that YOU want. Add or remove tables and fields, design an unlimited number of lookup tables and soil specifications, and export the modified database structure and templates for use in all your new projects. Ability to expand the scope, size, and structure of your SQL Server database. Ability to expand the scope, size, and structure of your database at any point in the project, overcoming a major limitation found with other similar database solutions. Applicable for projects with data sets ranging from 4 to 4000 wells. Hydro GeoAnalyst is now integrated with AquiferTest Pro and AquaChem so that you can start your projects in Hydro GeoAnalyst and expand your set of analytical tools as your projects grow to meet all of your hydrogeological analysis needs. OR to C:\Program Files (x86)\HGAnalyst "for (64bit) system".